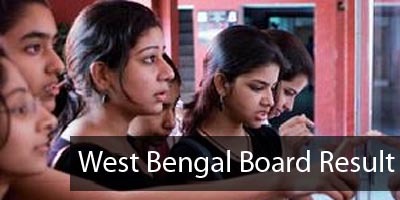 West Bengal Board of Secondary Education is in charge of conducting exams and declaring their results. West Bengal Madhyamik Result 2019 can be checked online at wbresults.nic.in. West Bengal Madhyamik Result 2019 is the result of 10th class examination conducted by WBBSE. 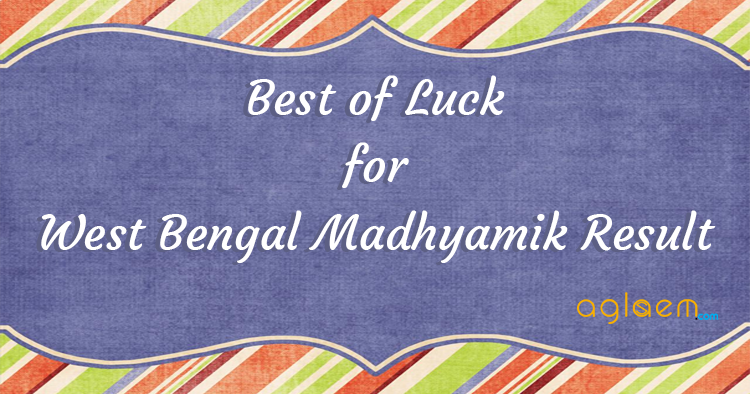 Madhyamik Results will be announced at the West Bengal Examination Results website wbresults.nic.in. Students can check their West Bengal Madhyamik Pariksha Result 2019 by entering roll number and date of birth. Get here complete details and updates of West Bengal Madhyamik Result 2019 and check your score. The West Bengal Madhyamik Result is declared by the West Bengal Board of Secondary Education. WBBSE 2019 Result is important for all the students. Candidates who appeared in the WBBSE 2019 can check their result using the link provided below. Result: To check the West Bengal Madhyamik (10th) Result 2019 visit the official website i.e. wbresults.nic.in. How to check WBBSE 2019 Result? Candidates should visit the official website OR use the direct link given above. On the webpage, fill in the Roll No. and Date of Birth and Click ‘Find Results’. If the information entered by you is valid, the WBBSE Result 2019 will be displayed for the candidate. It is advised to take print out of the Result for future reference. In case the Result doesn’t shows up, recheck the information and repeat the procedure. The West Bengal Board of Secondary Education conducts class 10th examinations each year for the large number of students who study under this board in WB as well as affiliated schools in other states. The WB Board Class 10 result is more popularly known as West Bengal Madhyamik Pariksha Result. Alternately, it is also referred to as West Bengal Board of Secondary Education (SE) Result. The board carefully checks and evaluates answer sheets of all the students who have appeared in the examination as per the Madhyamik Datesheet published previously. On completion of evaluation of sheets, the marks are compiled for each student separately. A candidate’s result indicate subject wise marks and aggregate performance. The board has been announcing Madhyamik Results online at wbresults.nic.in for the past few years. This has been done to attain the purpose of making it easier for students to check West Bengal Board of Secondary Education Results. Immediately upon declaration of the West Bengal Madhyamik Result 2019, candidates are able to log on to the website to check their marks and percentage. Several local and national level newspapers also notify regarding West Bengal Madhyamik Result 2019 Declaration. Students must keep ready their Roll Number and Date of Birth to check West Bengal Madhyamik Result 2019. The level of competition is very high as several students appear in the class 10 examination conducted by the West Bengal Board of Secondary Education. Performance in West Bengal Madhyamik Result 2019 is a significant benchmark for many students. Students, parents and teachers eagerly await the declaration of Madhyamik Results. Important decisions regarding selecting Science, Commerce, Arts and Humanities as the study stream in Higher Secondary is determined by the Result of West Bengal Madhyamik Pariksha 2019. That being said, students as well as their mentors are time and again reminded to not worry about good or bad results to the point of pressurizing the student too much. Results are a part of life, and they must be looked at subjectively. If a student fares better in Mathematics and not in Science related subjects, he/she may choose to take up Commerce in Class XI. Similarly, a student who has scored higher in Social Science may wish to study the similar subjects in Higher Secondary; and so on. The purpose of a Board level examination is to help a student recognize his / her strengths and weaknesses, and do better in future by working upon them.